No folks, not Patrick Ewing! 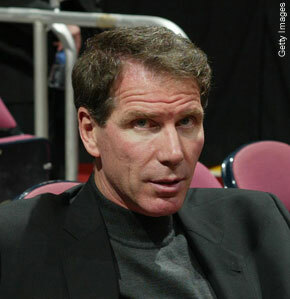 The New Jersey Nets have announced that former Knick and Nugget Kiki Vendeweghe will take over coaching duties for the rest of the season. Former Lakers head coach Dell Harris will serve as his top assistant and right-hand man. The Nets plan on introducing Vandeweghe at a press conference this morning. Looking for some inside information for betting tomorrow’s Thanksgiving football games? Yahoo! certainly has a tip for you. Based on their Week 12 NFL Scoreboard, the Packers will already have beaten the Lions 26-0. So, feel free laying the 11 points on the road because Green Bay will has already covered the spread with ease. NFL coaches always say how tough it is to win in this league, but the Pack have found a way to win without even playing. Thanks, Yahoo! sports. 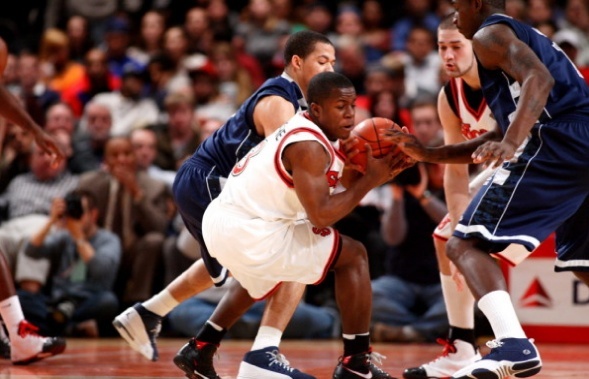 St. John’s escaped Ivy League bottom feeder Brown tonight 79-76. Another uninspiring performance for the Johnnies. This comes on the heels of a one point win against a mediocre Atlantic-10 team, in St. Bonaventure. To struggle this bad against one of the worst teams in the Ivy League, at home no less, does not bode well for the rest of the year. Norm, what’s going on?? I was forwarded an e-mail from a MSG staff member friend (who shall remain anonymous). He and other staff recieved this e-mail with the following statements (said to be from Donnie Walsh). This is apparently their “official position” regarding Allen Iverson, and what the staff is supposed to tell any concerned parties: Read the rest of this entry ? 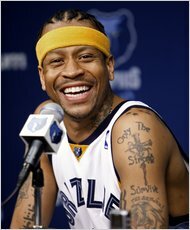 The New York Times is reporting that the Knicks will not be signing Allen Iverson afterall. They are apparently worried about his affect on team chemistry. It indeed would be a tragedy to break up such chemistry that has allowed the Knicks to start off 2-9 on the young season. 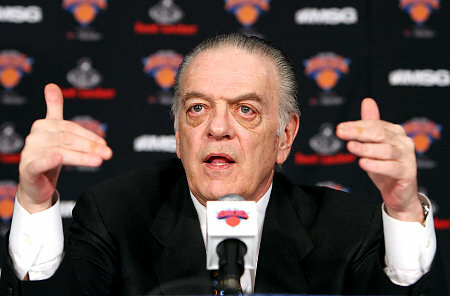 The seemingly mutually beneficial relationship between Iverson and the Knicks will apparently not materialize.